There has been talk of a Chromium-based version of Microsoft Edge for a while, and now Microsoft has finally released the browser to those willing to take part in the Insider program. 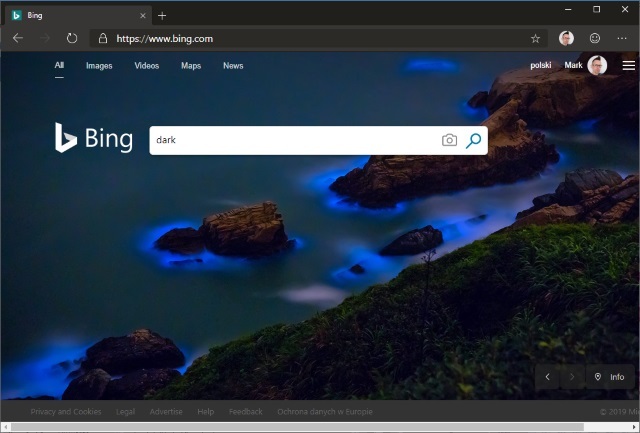 While it's early days for this new version of Edge, there is already the Microsoft Edge Insider Addons website to investigate, but you may also want to experiment with settings. One such setting is dark mode -- something which has proved very popular in all sorts of apps. Here's how to enable it. If you look through the settings for Edge, you'd be forgiven for thinking that there is no dark mode option -- it is certainly not obvious. In fact, even if you enabled dark mode in Windows' settings, you'll be disappointed to find that Edge doesn't play ball. Unless, that is, you know what to do. Under the Choose your default app mode heading, select Dark. Now launch Edge and type edge://flags/#edge-follow-os-theme into the address bar before pressing Enter. From the drop down menu to the right, select Enabled.